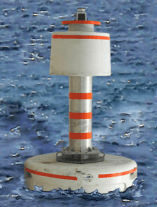 Ensure life-time buoyancy with Essi’s Smart Buoys. 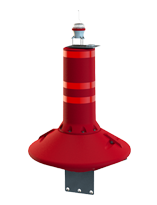 Equipped with GPS-enabled tracking and 24/7 monitoring capability as well as perimeter alarm warning, Smart Buoys utilize high density floats for one-third less weight than that of their steel counterparts. 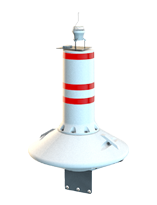 APPLICATION | For safe surface navigation and commercial fishing gear, our buoys with a customizable quick flash light can be used to mark artificial submerged structures, downed structures or hazards. 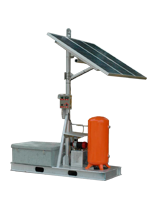 They are also engineered for marking well heads, channels, open sea, lakes, bays, rivers, bayous, active traffic zones, sub-sea pipelines, tankers and/or barge anchoring points, salvage sites and drilling rig mooring systems. 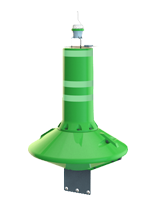 DESIGN | The Smart Buoy is a durable, practically indestructible/unsinkable polyethylene buoy. 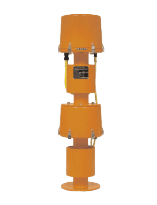 The Smart Buoy was designed to meet the strict requirements of the US Department of Homeland Security (USCG) and the US Department of Interior, Minerals Managements Service and carries the FM Approval Class 1 Division 2 certification for hazardous areas. 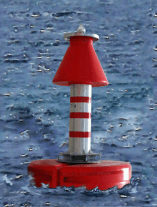 CONFIGURATION | These smart buoys are ideal for high seas and coastal areas and are available in three colors. 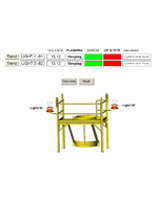 Determining factors for color include location, placement of buoy and water depth of the hazard. 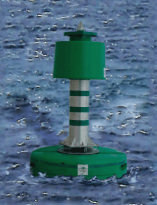 With custom configurations available including dual marine lanterns, audible fog signal and answering radar beacon (racon), contact Essi to discuss which product is best suited for your needs.